Refine and freshen oily and combination skin with this balancing facial. 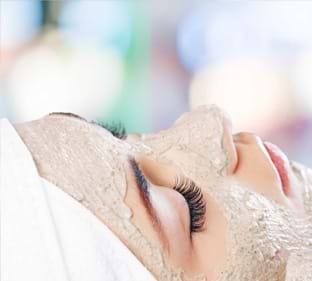 Skin is cleansed, exfoliated and then a deep cleansing mask is used to re-mineralise the skin leaving it looking clean, refreshed and revitalised. A facial massage using traditional aromatherapy massage pressure points eases tension and helps tone the muscles. A scalp massage using an inhalation of frankincense and an arm and hand massage complete this relaxing facial.